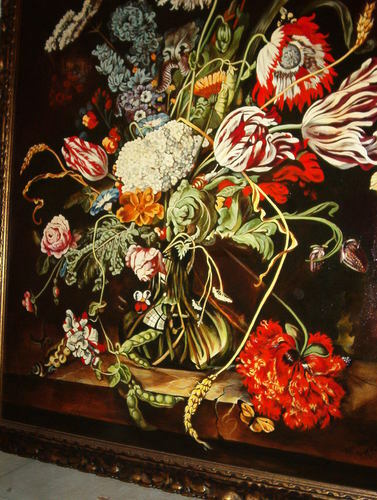 Through a series of glazing and antiqueing techniques, Kathleen's floral or "Old Master" reproductions take on an "Old World" element. 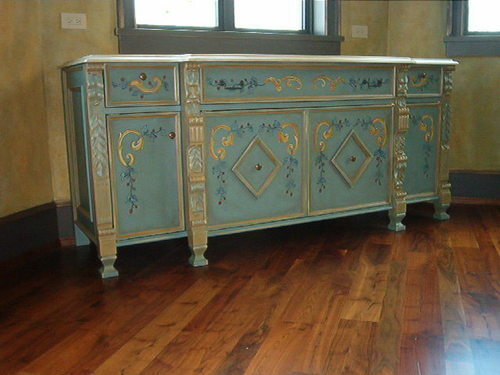 Working with talented local artisan and wood worker Bruce Ketterer of Carson Finishing, Kathleen also produces hand painted works of furniture art that will be the crowning glory of any room. 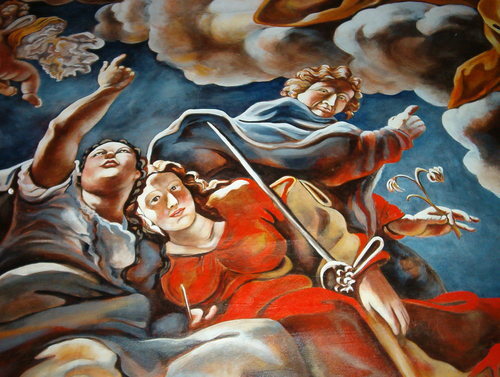 Be it a small decorative painting to a 18x10 foot mural Kathleen gives free estimates for all.